When your Husqvarna 350 chain saw won't start, you need to determine the cause in order to get it going. If the chain saw has a clean air filter, good spark plug and plenty of fuel/oil mix, then it is most likely the carburetor. You can clean the carburetor with carb cleaner, but if that still doesn't help, remove the carburetor to have a mechanic fix it or so that you can buy a new one. 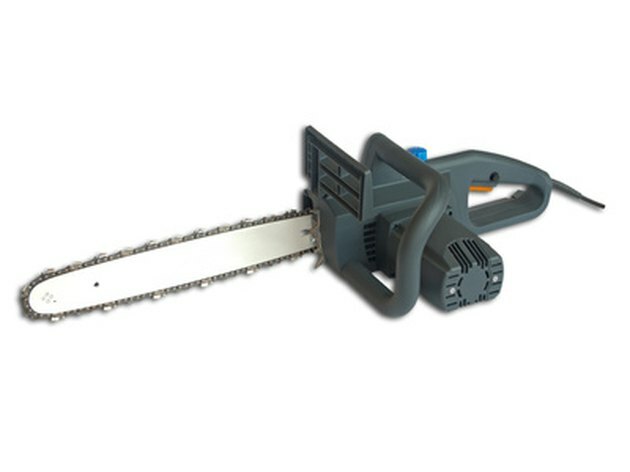 Locate the carburetor on your Husqvarna 350 chainsaw. There is a fuel line between the gas tank and the side of the carburetor. Squeeze the clamp holding the fuel line onto the side of the carburetor with the pliers and slide it off. Pull the fuel line off and direct it into the bucket to catch the old gas/oil mix. Unscrew the plastic engine cover from the side of the engine partially covering the carburetor. Use the screwdriver to unscrew all the screws and then store them in a safe place with the cover. Unscrew the two bolts holding the carburetor to the side of the engine block with the proper-size wrenches. Pull the carburetor off and peel the gasket off the engine block. Unhook the throttle linkage wire from the top of the carburetor.